MLS – Real Estate Life. The Real Deal…A look back at the 2017 San Diego real estate market. 2017 will be remembered as the year of shrinking inventory. We finished the year with a 10 year low inventory level. There were just 2905 single family detached homes fro sale as of December 31, 2017. What will 2018 hold for the market? Great question, but for now here’s a recap video for you. I’d love your thoughts and feedback. 3 Reasons you MUST buy a home now! My goal is to always bring you relevant, street level information about real estate. This post is based on not just what I see, but experience everyday in the community. The frustrations of my clients and other real estate agents are real, and my hope is to encourage you to seek the best information possible. And that is not always in the national or regional news. The best source is the active and local real estate professionals in your community! They live it everyday and are your best resource…hands down. In the short video below I outline 3 reasons you MUST buy a home now. I hear agents say all the time, “I don’t have a crystal ball, but”…well we sorta do. It’s called history and current events. Low inventory levels, investor changing strategies from flip to hold, and low interest rates are the map we need to follow. This video and the message is based on what I am experiencing and sharing with clients everyday. You want to get the best buy and reap the biggest reward? Then watch and make your move! Deal or no deal? When it comes to real estate there is only one thing that really matters…Closing! It’s what all the players want and strive toward. Everyone wants to close! The trick, of course, is to navigate the many pitfalls along the way so everyone gets what they want. After nearly 20 years of practicing real estate, I have seen lots of things that complicate transactions and cause escrow to fall apart. 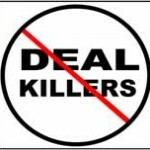 However, there are 3 things that almost always kill a deal. And here they are! Deal Breaker #1: Property condition. In California the real estate contract is set up so that each transaction is an “As-Is” sale. Basically that means that language is included in the contract that states the buyer is buying the property in its present, as-is condition, subject to inspection rights. The problems arise when sellers or agents don’t disclose problems or potential problems. Preparing the buyer can save a lot of time and money down the road. If the buyers come in with eyes wide open and have a good understanding of the property condition then the transaction can most likely move along. Certainly there are things that the seller may not know about and that are discovered during the home inspection, but if everything the seller does know about is disclosed upfront, then the buyer is more likely to be understanding of additional concerns. There is almost always a secondary negotiation that occurs after the physical inspection, so as a seller be prepared for that! Don’t take it personally, every house has problems! As a buyer don’t nickel and dime the seller! If you are asking for repairs or credits, keep it to items that are safety and/or health issues. The inspection is not a laundry list of upgrades for you to ask for. It’s to get a neutral 3rd party opinion of the condition of the property. Deal Breaker #2: The Appraisal. Having the appraisal come in under the agreed upon sales price has become more common over the past few years. Short sales and foreclosures have caused appraisers to have a hard time with values. It’s important to understand what exactly an appraisal is. It’s an OPINION of value as of that given day. The market is fluid and changes daily, even hourly. A new listing coming on the market, or a sale closing the day after your appraisal will have an impact on the value of the subject property. While there is some science involved it’s also an art. If an appraiser is not familiar with the neighborhood that could be an issue. After all we buy a house for more than just the house, right? A great school district can affect value. So can a freeway running through the backyard! When an appraisal comes in low there are basically 3 things that can happen. The buyer can come up with the cash for the difference. This rarely happens in a declining market because who wants to overpay for a home? Second a seller can lower the price to the appraised value. This happens fairly often in these circumstances, but can be tricky if the seller is close to break even on the property. Third, the transaction is cancelled and everyone walks away. Not a good thing, but again it’s fairly common. Deal Breaker #3. Financing. This is the key to everything…no pun intended. Getting the loan is at the root of every successful closing. The most important thing to consider here is to work with a lender that will tell you like it is. The fact is either you can afford the home or you can’t. There is no maybe. One of my biggest pet peeves is a lender that says they can do it and then they can’t. Tell me upfront! I know you want the deal but not everyone can buy right now. Do us all a favor and tell the truth! We can handle it. Here are some tips on financing. Ask for recommendations: Your friends, co-workers and family members may be able to recommend a good lender. Ask them if they are happy with their loan and their lender’s customer service. Whatever you do, do not settle for the first company that offers you a loan. Find a trustworthy, reliable lender that is the best fit for you. Fixed-rate vs. adjustable rate: A fixed-rate mortgage has an interest rate that locked in throughout the life of the loan (usually 15 to 30 years.) 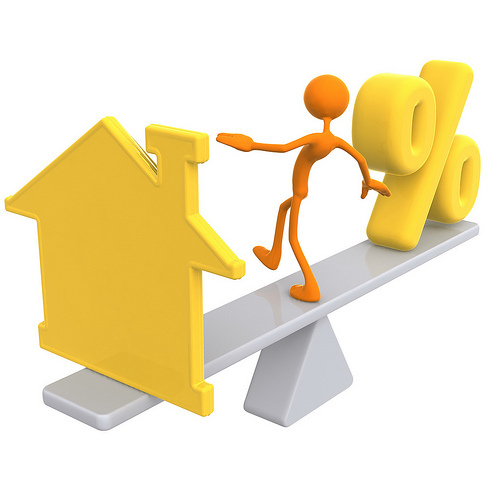 On the other hand, an adjustable rate mortgage (or ARM) has interest rates that vary over the life of the loan. With an ARM, your interest rates can change every six to 12 months or even monthly. Typically, an ARM’s interest rates are tied to an economic index, such as the national mortgage rate. When rates are high, your rate will increase. When rates are low, your rate will drop.If mortgage rates are extremely low when you’re buying a home, you should probably choose a fixed rate loan. That way, your rate will be locked in at this low level for the life of your loan. On the other hand, if interest rates are very high and you think they will decrease soon, you may consider an ARM. However, this is an extremely complicated decision, so you may want to discuss your options with your real estate agent or a financial adviser. Rate lock-ins: If you expect interest rates to rise in the near future, you should ask your lender for a mortgage rate lock-in when you apply for the loan. This ensures that the rate the lender offers you will stay the same for certain period of time (usually 30 to 60 days.) That way, if you buy a home within the next month or two, you’ll be guaranteed the same mortgage rates that are available today. Once you lock in your rate, ask your lender for a contract or statement including your interest rate and the amount of time the rate will stay the same. Closing costs: There are countless fees and closing costs associated with mortgage loans. These fees can add up quickly and easily push you over budget. 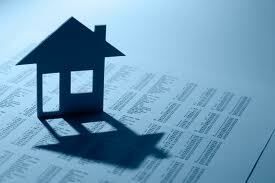 Make sure your lender provides you with a Good Faith Estimate, and take time to read all the fine print. Ask plenty of questions about any fees you don’t understand or consult an attorney for further explanation. PMI: You are required to pay Private Mortgage Insurance (PMI) if your down payment on a home is less than 20 percent of the total purchase price. PMI is a type of insurance that protects the lender against the risk of your default-which is what happens if you can no longer make your monthly mortgage payments. Although the cost of PMI varies depending on your mortgage company, premiums typically run about 0.5 percent of the loan amount for the first year of the loan. PMI premiums usually decrease after the first year. Get pre-approved: Once you find the perfect lender, go through the pre-approval process with them before you start your house search. When you get pre-approved, you won’t be tempted to buy a house you can’t realistically afford. Plus, when you’re ready to make an offer, pre-approval also gives you stronger negotiating leverage. If a seller knows you’ve already been approved for a loan, they’ll be more likely to take your offer seriously. So there you have it. The top 3 reasons real estate transaction fall apart. Of course there are many other reasons things go wrong, but 9 times out of 10 one of these 3 things comes into play. If you’d like more information you can visit my website. For buyer info click here. For seller info click here. Thanks for checking in and see you soon! Working with investors gives you the opportunity to dive into the numbers. And while I’m no accountant, I certainly understand the basics of buy low and sell high. I also understand market stats and the role they play in tracking trends, etc. Recently there has been a lot of talk about publishing MLS data in a public forum, that’s another post for another day. That said the MLS is n important source for what is going on in the market place. I want to look at some data we track and share with investors to help them compare investment opportunities. In terms of data we track four areas: Active, Pending, Contingent, and Sold MLS listings. Within each of those categories we look at the number of properties in each category, number of days on market, average sale price, and list to sale price ratio. Knowing these numbers allows us to compare traditional transactions with opportunities at trustee auction. Let’s look at some recent data pulled from Sandicor MLS in San Diego. Currently there are 9300 Active single family properties for sale in San Diego County. The average days on market is 101, and the average list price is $808,000. Pending homes, those under contract and in escrow, show 3900 homes with an average list price of $426,000 and on the market for an average of 73 days. Contingent homes, aka short sales, show 3400 homes at an average list price of $325,000 and on the market for 140 days. OK, so what does this all mean? Notice how the prices and days on market change based on status? Short sales are on the market longer and sell for less. Safe to assume we all know that. But did you really know to what extreme these numbers fluctuate? More importantly, can you see how sharing this type of information can help your clients make better decisions? 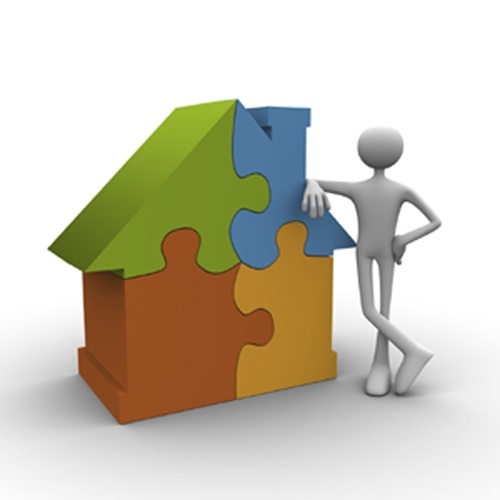 Investing in real estate is like solving a puzzle. It can be frustrating and risky, but it sure feels good when you get all the pieces in the right place. On the surface you can see that nearly half the properties under contract are short sales. But when you look deeper you realize that a good portion of the pending units were at one time contingent. The contingent status is specifically for short sales and is used when a buyer and seller have agreed to terms, but the bank has not yet approved the sale. We found that nearly 40% of the pending homes were contingent. So the reality is that perhaps 70% of all homes under contract are short sales. In speaking with an agent this week that does a lot of short sales, he estimated that short sales actually sell at about 90% of market value. We already saw above that they take longer to close, and sell for about $100,000 less than traditional sales. What about trustee auction properties? Well, here is where our very unscientific poll comes into play. And I say unscientific because these numbers represent our personal experiences at auction over a 3 day period. I am tracking on a larger scale and will write a follow-up to this in the near future. Here’s what we found and the big benefit to buying at trustee sale: Properties sold at 77% of market value! How would you like to put 13% more in your pocket just for showing up? There are risks, but they are calculated and minimized when you work with a Smart Company that has a successful track record in this arena. Stay tuned for more. CENTURY 21 will be the GLOBAL LEADER IN REAL ESTATE TRANSACTIONS and be the Destination Brand of Choice for professionals and consumers. Smarter, Bolder, Faster, Stronger, and More Innovative. This was the message presented at the Century 21 Leadership Conference last week in San Diego. There are so many changes happening in real estate…new business models, new companies, new customers, new ideas. The neat thing is that my company, Century 21 Award, is also undergoing some major changes. The way we see it, we need to stay relevant to our customers by providing access to information, helping them understand the market, and most importantly providing the highest level of service possible. The Century 21 Award mantra of Integrity…Service…Innovation…mirrors that of our national company. We believe that as a local company with a national footprint we can provide services at the highest possible level. We believe there is an opportunity to be the best real estate company and that we provide access to the most important tools and resources. We think our experience over the years gives us a competitive advantage and that we can deliver high tech – high touch service better than other companies. And we believe we have one huge advantage…long term, local agents who simply know more about the local markets than our competitors. Award Commercial. Launching a commercial division gives us a competitive advantage to be able to serve all types of clients. It also gives our agents an opportunity to refer customers to valuable in-house resources they otherwise would not have. Full time Social Media Director. How many real estate firms really even understand Social Media Marketing let alone have a full time person dedicated to it? By understanding this realm we are able to provide information in real time to our customers and create a deeper level of marketing and exposure for our listings. The new Century21Award.com web site. Our newly redesigned site gives our customers more access to information than ever before. Every listing in S. California, real time market statistics, community information and demographics, plus the ability to connect at every level with a local real estate agent. Check it out! As you can see we want to be the real estate company of choice for anyone looking to buy, sell, invest, or lease real estate in S. California. We know you have a lot of choices and we appreciate the opportunity to serve you. So stay tuned as Century 21 Award continues to bring you the tools and resources you need to make informed decisions about your real estate needs. This is just a quick post…really a link to an article on Inman News…about recent information that could have major ramifications on where your listings are displayed online. What are you thoughts on this? 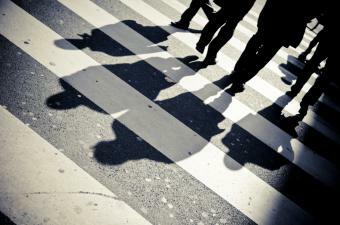 Will this have an impact on your business? It could…so pay attention! I’d love to hear your feelings on this topic after reading the article below!